Just like Santa, I’ve got a list of naughty and nice people on my holiday gift list. The naughty people get a nice-looking gift card for some lousy coffee. But the nice people — hey, I struggle to find just the right “gift of travel." Oh, there are gadgets: the noise-canceling headphones for the plane, or the portable headlamp when the overhead light doesn’t work. It’s tough to wrap up airline tickets with a bow and slip ‘em under the tree. There are a couple of travel gift categories that are sure to please, though: a map or a pass. Either tends to spark the imagination and get your loved one to start thinking about where to go and what to do. 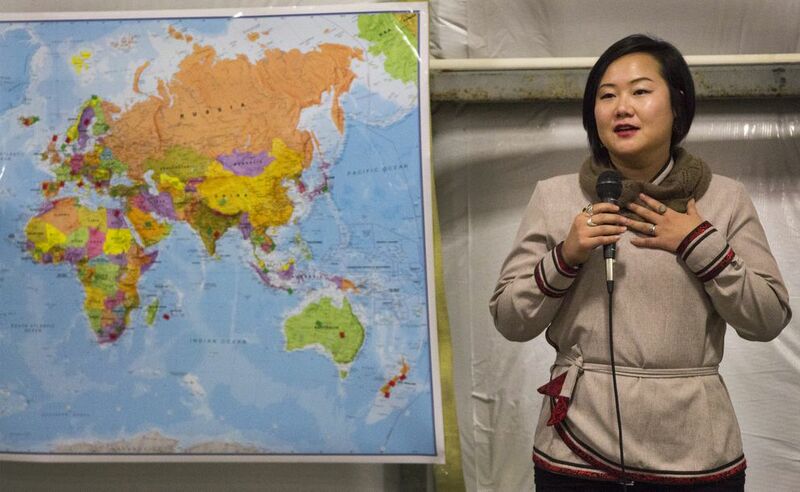 At my travel seminars, we put up a big world map for folks to identify where they’ve been or where they’d like to go. It’s big — 6 feet across. But I found a store in Seattle, Metsker Maps, that has an incredible variety of wall maps, travel maps and globes. The store is in the Pike Place Market — you can’t miss it. I signed up for their email newsletter to see what new city maps they have for my next trip. On the ground in a new destination, I often use Google Maps on my smartphone to get around. But a big wall map or a big fold-out map is better for seeing where to go and how to get there. As a travel junkie, airline route maps are my go-to pages when I’m glancing at the inflight magazine. But on a summer road trip on the Alaska Highway, the The Milepost provides a mile-by-mile description. In fact, The Milepost was helpful not just for the two main overland routes (the Cassiar Highway and the eastern route through Banff and Jasper). The publication also was helpful when researching the route from Anchorage to Haines, connecting with the Alaska Marine Highway. If you want to make your own map, the U.S. Geological Survey offers a service called The National Map where you can customize the area and features you want — and then download it. The National Map doesn’t offer satellite images that you’ll get from Google Earth, but it offers comprehensive political and topo maps for downloads. With the National Map tool you can zoom in on a particular area you’d like to explore. Then you can download the map and print it out. Still, I like the big wall maps for planning a dream trip. Friends just returned from roughly tracing historic Route 66 from Chicago to Los Angeles. Several other friends have flown south to drive back up the Alaska Highway. I’ve made the trek more than once up and down California’s coastal road, Highway 1. My printer isn’t big enough for the 3- by 4-foot map of Alaska from the USGS. Metsker’s offers a paper version for $18. It appears the large wall map is one of the most common pieces of art in Alaska homes! You can see at a glance that there’s no road to Juneau — and how long a drive it is from Fairbanks to Prudhoe Bay! 1. America the Beautiful pass. It’s $80 per year for a pass to enter all the national parks and national wildlife refuges where fees are charged. In addition, there are discounts for interpretive tours and camping. The pass also is valid for admission to lands managed by the BLM and the U.S. Army Corps of Engineers. The $80 annual fee applies to grown-ups. Fourth-graders are free. Active-duty military members and their dependents are free. A senior pass costs $20 per year. There also is a lifetime senior pass for $80. 2. Priority Pass (www.prioritypass.com). If you’re a frequent traveler, lounge access is important. On several of the premium credit cards that cost $400 per year or more, Priority Pass access is included. But you also can purchase a freestanding membership for $99 to $429 per year. The $299 annual membership includes 10 free visits, then a $32 per-visit fee after that. The $429 plan includes unlimited visits to the 1,200 participating lounges. In addition to lounge admission, several airports include restaurant offers, including Portland. Stop by Capers restaurant just past security and show your Priority Pass card. You and a guest each receive a $29 food and beverage credit. 3. The Alaska Lounge. While your Priority Pass usually provides access to Alaska Air’s lounges, it’s not a sure thing. I’ve been turned away when the lounge gets really busy. But if you have a true Alaska Airlines lounge card, you can always get in. There are three Alaska lounges at Sea-Tac airport. I like the lounge here in Anchorage too. There’s free espresso, a nice selection of drinks and snacks, and a quiet place to relax before your flight. Fees range from $295 to $450 per year. 4. Global Entry. This is a tough gift to slide under the tree, since it requires lots of information and a personal interview. But this is one pass that’s really worthwhile for the frequent traveler. The required information takes awhile to fill out. Then you have to go out to the Anchorage airport for your interview. The payoff for your $100 is access to a special kiosk line on re-entry to the U.S. Oh — you’ll also get TSA pre-check for your domestic flights. The “very nice” people on my gift list get a map to help them dream of a destination and a pass to make the trip more fun!